It was prom, 1988, at Riverside County High School and Samantha Montgomery was as happy as the next junior. She was attending with her date, Brad Smith. It was not very romantic, they were going as just friends. It had been arranged two months earlier, by their friends, that they would go together since neither was seeing anyone at the time nor desired to do so. Of course, there was a moment of doubt for a space, because Brad began dating Kimberly Johnson who had graduated with the ’87 class. She was attending the Institution of Performing Arts at Babylon, which was a good two hours away from Riverside. After a slight melodrama, it was agreed that Kimberly would not need to make the trip to Riverside for prom, but that Brad would make the trip to Babylon for her homecoming the following year. When you’re talking in terms of high school relationships and long-distance at that, it wasn’t the best arrangement. However, both parties agreed that was okay. No one wanted to see Samantha Montgomery stranded at prom. The theme for the prom was Sweet Dreams, though it was clear from the decorations that it had little to do with Salvador Dali’s dreams and more to do with young aspirations of romantic fantasies. There were lots of hearts, clouds, candles, a Cupid and waterfall of pink punch. It was soothing and romantic. It got the job done for those looking for love. Samantha Montgomery was not looking for such. Brad picked up Samantha from her house, he was on time and looking handsome. He had pictures taken with the family, more a formality and less to do with romanticism. They met with their friends and had some relatively fine dining to their parents’ expense. Everything was going smooth and wonderful. Friends being friends gave in, but not without some harsh glares in Kimberly’s direction. It didn’t phase her though, she’s in college and their in high school. They were nothing to her. Everyone entered the gym and joined the dance; Samantha sat near her dancing friends and drank some of that pink punch from Dreamland. 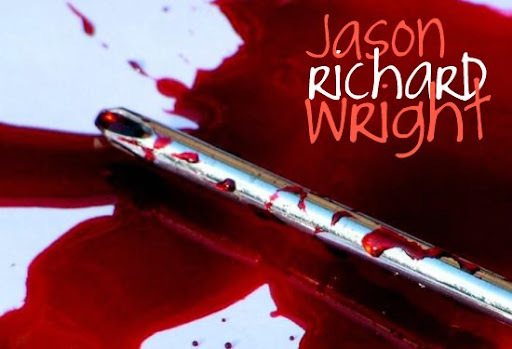 Jason Richard Wright was dressed in a grey sports jacket and tie, the first time he’d ever donned one. He looked a bit awkward in it, pulling at the knot of the tie constantly. His grey jacket had brown patches on the elbows, a fashion statement that would soon pass but not soon enough. He held a skinny, rectangular Kodak camera in one hand and a notepad in the other. He had no date, but he wanted to go, so he volunteered to write a story on prom for the newspaper. He’d never written for the paper, it was more of an excuse for his parents and so that he’d feel better about the fact that he had no one to dance with. Peter than ran back to the dance floor with Leslie, Jason Richard Wright looked in the punch at his camera and notepad, I’m dead, he thought, That’s Mom’s camera. In a rush, Jason Richard Wright sat at a table and grabbed some napkins. He began drying the camera off, than he looked up to see Samantha sitting across from him. He recognized her from Biology with Ms. Paulette, she was notorious for being a strange sort and rumored to be into Wicca. She looks amazing, Jason Richard Wright thought to himself, But she’s a witch, Mom would kill me. “Thank you, Mrs. Kelly,” Jason Richard Wright blushed. And with that they were back onto the floor and dancing together, holding each other tight. Jason Richard Wright had noticed that when they were together, they were warm, they were sweaty and he could smell both of their smells. Her perfume and his cologne. It was as if it mixed with the sweat becoming one, running from one body to the other as they embraced. He decided it was a wondrous smell. At one point in the night, they ran to where Kimberly and Brad were dancing to a slow piece and danced right next to them. It was Samantha’s revenge and Jason Richard Wright, in his own way, was defeating the beast with his broadsword, shield and shiny armor. “Jason Wright is taking me home,” Samantha Montgomery proudly proclaimed to Brad Smith at the end of the evening. “It’s my brother’s car, actually,” Jason Richard Wright explained, as they sat inside the car, just outside her house. And then… there was silence. This would be the silence Jason Richard Wright would never forget. He sat looking out the windshield, but on the corner of his eye he could see she was facing him. And they sat there this way. Truthfully, it was for about twenty seconds, but Jason Richard Wright has confused it between one minute to two, sometimes even three minutes. For someone in his shoes, it may be twenty seconds but it is actually an eternity. Is she wanting me to kiss her? he asked himself, frightened of the answer, I think she does. I’ve never done that. Okay, here goes. He kicked himself all weekend, and when Monday came he figured he’d apologize and proclaim his love and compassion in Biology. But, before he ever gained the opportunity to do so, it was clear that she had dismissed it as a just friends thing. Jason Richard Wright would never forgive himself for passing the opportunity to kiss Samantha Montgomery.